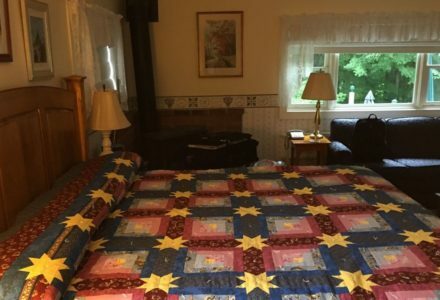 The Fitch Hill Inn, nestled within the Green Mountains of Hyde Park, Vermont, is mounted on a hillside above Hyde Park Village, near Stowe, Smuggler's Notch and the Northeast Kingdom. Come and experience the peace and tranquility of our 18th century Vermont home, situated on a quiet, paved, residential street. 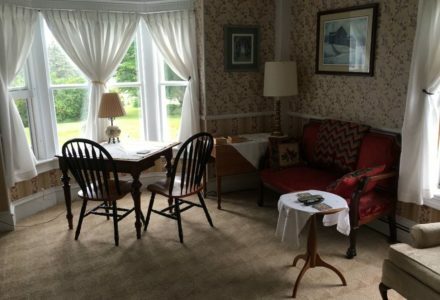 The Fitch Hill Inn in beautiful Hyde Park, Vermont was constructed on a hilltop circa 1797 by the son of one of Hyde Park’s charter landowners, the diarist Capt. Jabez Fitch. Imagine sleeping on a great mattress, perhaps under a crocheted lace canopy, in a 200-year-old house…looking out your bedroom window to see the Green Mountains spread out before you. 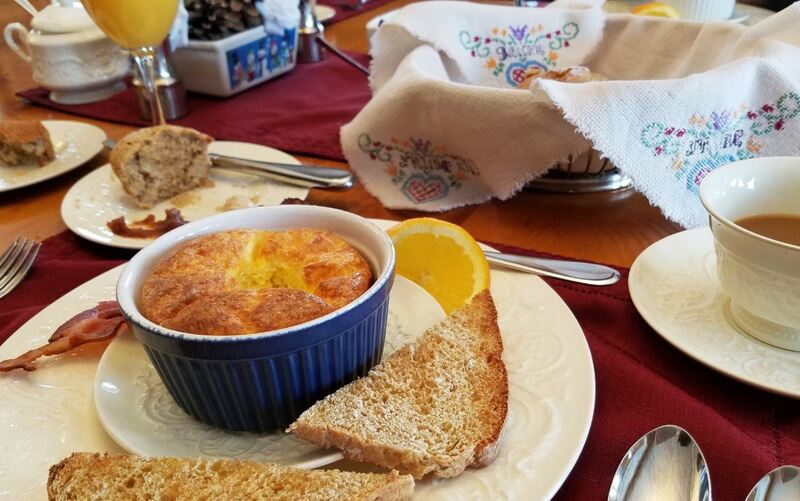 Imagine being treated to fresh-baked cookies and a cold glass of lemonade in the summer or hot chocolate, warm cider, or tea in the winter after you’ve arrived and gotten settled. Spend the day antiquing, hiking, or skiing. Relax on the porch or the rear deck then go out for a delicious dinner. This wonderful Greek Revival home has been modified several time since it was first built as a one-story home, adding space and convenience for subsequent generations. 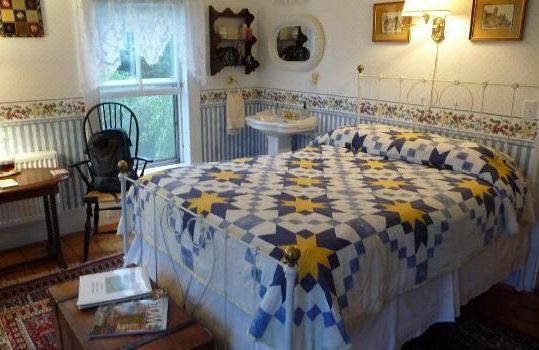 It has been a farmhouse, a boarding house, a family home and, since the mid-1980’s, a bed and breakfast. 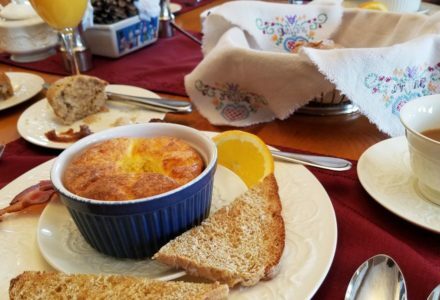 Just twelve miles north of the historic village of Stowe, mid-way between Stowe Mountain, Smuggler’s Notch, and Jay Peak ski resorts, and on the edge of the Northern Kingdom, the Fitch Hill Inn is ideally situated to take advantage of all that the area offers. 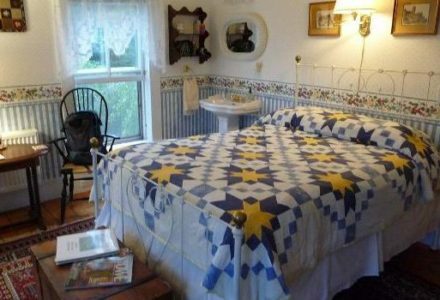 Come and experience the glory and tranquility of the Fitch Hill Inn Bed and Breakfast in beautiful Hyde Park, Vermont. 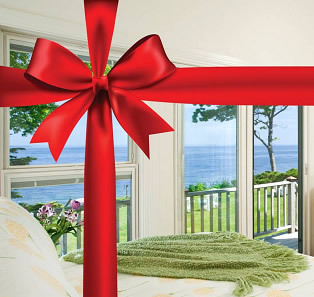 Children Policies: We recommend the Green Mountain Suite for families with children over the age of 8. 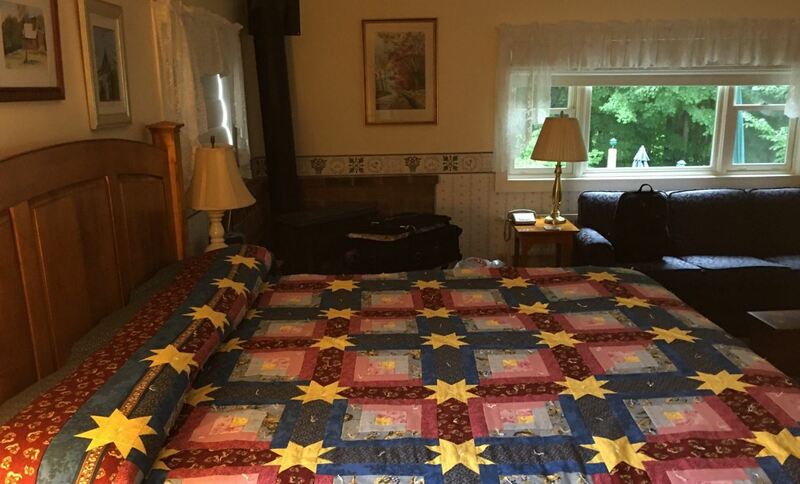 Pet Policies: There is a kennel 1/4 mile from the inn for guests travelling with pets. Smoking Policies: Smoking is not permitted in the inn, but you may smoke on the porches or the deck.